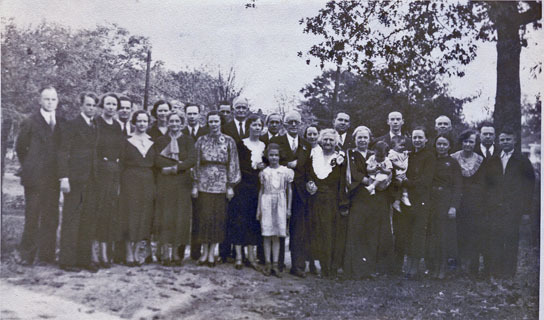 Left to right: John D. Humphries, Jr.; C. L. Jones (Chester Lawson Jones, Jr.); Velma Jones; Walter Jones; Lillie Jones; Alline Jones; Mattie Lee Jones (Uncle Chester's wife); Maurice Smith; Gladys Jones Truitt; Wylie Truitt; Chester L. Jones, Sr.; Laura Jones; "little" Bernice Jones; John D. Humphries (behind Bernice); John Franklin Jones; Nellie Bernice Jones; Eliza O. McNair Jones; Wilbur S. Jones (husband of Josephine); Lillie J. Humphries (holding Annette); Josephine Jones (holding Joanne); Lamar Smith behind Joanne; Annis Humphries, Ernest Smith (husband of Emma) behind Annis; Emma Jones Smith; Wayne Smith; Dwight Jones. 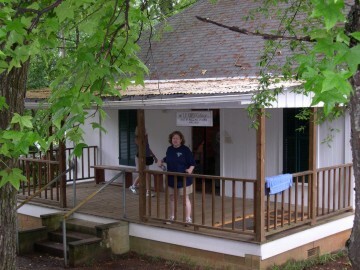 Center front: Bernice Jones; over her left shoulder, Laura Jones. Standing: Unknown woman, Lillie Jones Humphries, John D. Humphries, John Franklin Jones, Eliza McNair Jones, Laura Jones, Ruth Huie, Annis J. Humphries. Guests at the "three score and ten" party given by the Rev. 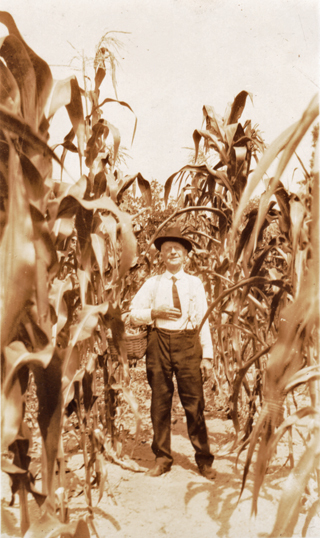 J. V. Jones, Jr., of the Ben Hill Circuit of the Methodist Church, circa 1928. The party was at the parsonage in Ben Hill. 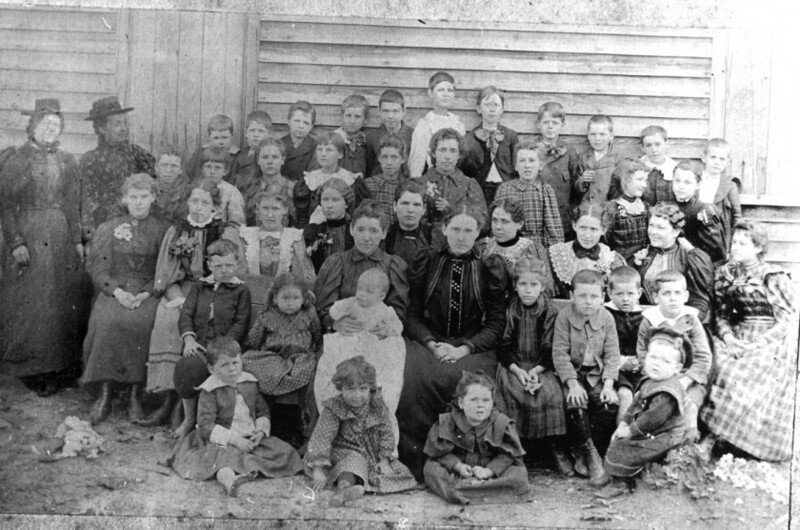 Seated left to right: Mrs. W. A. Campbell, Mrs. Fannie Suttles, Miss J. S. Campbell, Mrs. J. H. Cash, Mrs. J. J. Campbell, Mrs. Robert Todd, J. S. Gilbert, Mrs. L. E. Wood, Mrs. W. A. Waits, Mrs. James Suber, Mrs. E. E. Baker, Mrs. J. L. Sims. Standing left to right: Rev. J. V. Jones, Jr., B. F. Roberts, J. P. Robbins, W. A. Campbell, J. J. Campbell, James Suber, J. 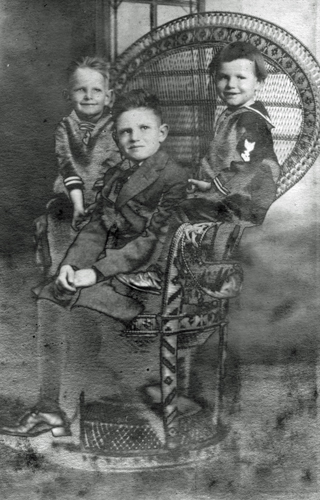 A. McWilliams, J. L. Sims, J. H. Johnston, Mrs. J. V. Jones, Jr. These young ladies gathered in Hapeville to celebrate the birthday of Miss Cora Wells of Mountain View Georgia. 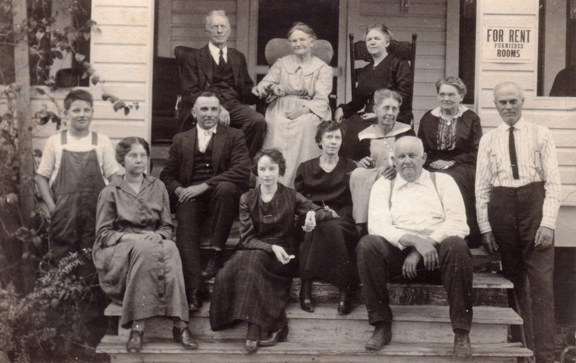 Left to right, seated: Ada Waldrop (Mrs. Jeff Mayo); Minnie Dodson (Mrs. Hamp Gilbert); Addie Mabry; Elon Dodson (Mrs. J. W. Langley); Olivia Mabry (Mrs. W. E. Harrison); Laura Jones, Dora Eubanks, Cora Wells (Mrs. Charlie Cannifax). 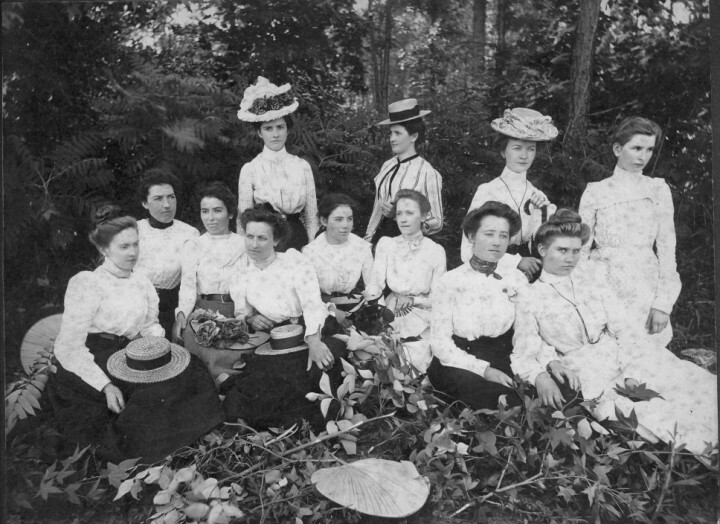 Back row: Emma Dodson (Mrs. J. W. Walker); Fanny Dodson (Mrs. W. G. Travis); Emma Jones (Mrs. Ernest Smith); and Josephine Wells. 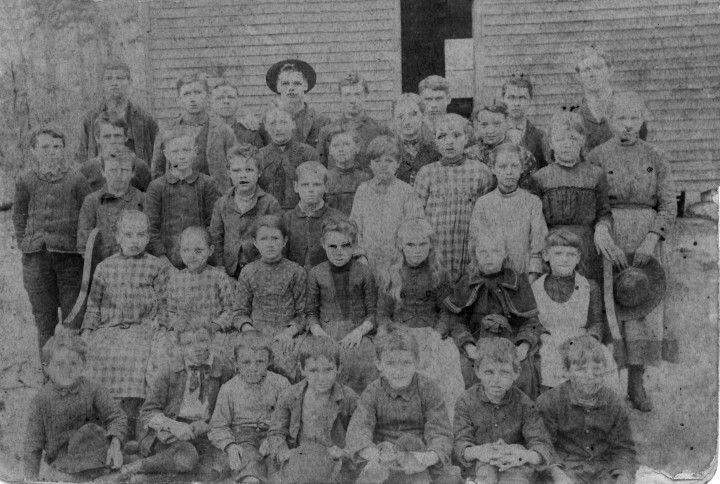 Howard Academy, circa 1890. Enhanced from a seriously damaged, post-card sized original. 1st Row: 1. Jesse McNair; 2. John Chapman; 3. Horace Ballard; 4. Whit Burke; 5. 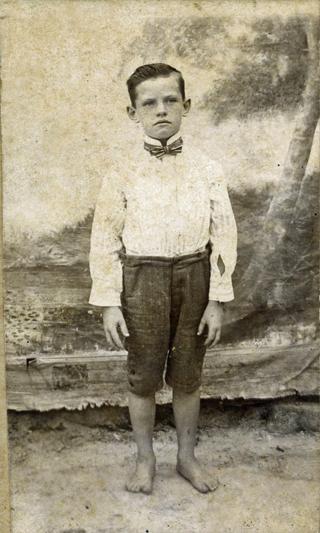 Joseph McNair; 6. Unknown; 7. Unknown. 2nd Row: 1. Martha McKown; 2. Creserious McKown; 3. Elma Wootan; 4. 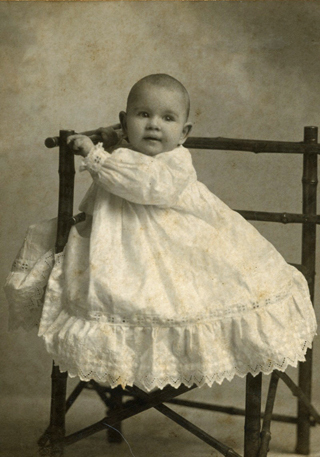 Lula Terrell; 5. Cora Wells; 6. Emma Jones; 7. Lena Jones. 3rd Row: 1. Morton Butler; 2. Tom Dodson; 3. Chester Jones; 4. Hamp Harrison; 5. Kimsey Ballard; 6. 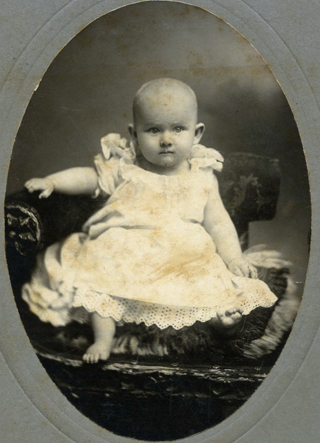 Fannie Dodson; 7. Lilla McKown; 8.Edna Thames; 9. Lillie Jones; 10. May Watts. 4th Row: 1. Berry Wooton; 2. Will Thames; 3. Dora Dodson; 4. Vada Jones; 5. Kate Dodson; 6. Leona Burke. 5th Row: 1. Unknown; 2. Albert Terrell; 3. Lon Moore; 4. Will Burks; 5. Marlin Terrell; 6.. ?? Butler; 8. 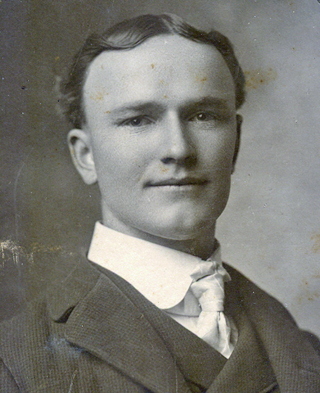 Mr. W. R. Jones, teacher. 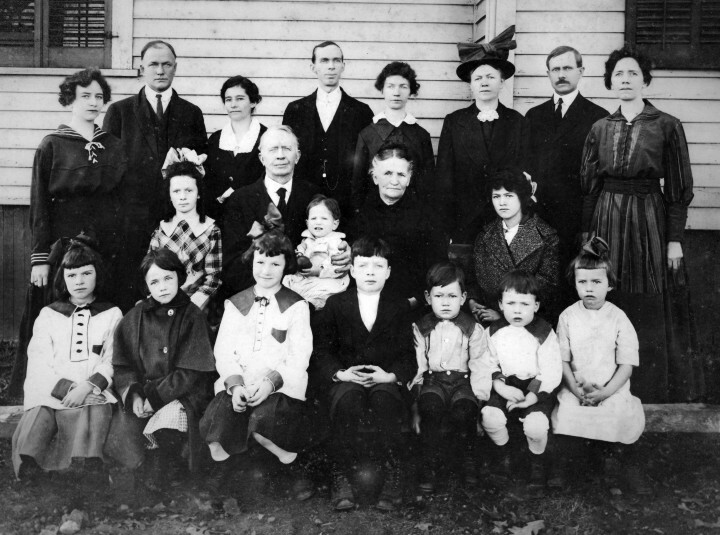 2nd row: Henry Todd, Ruby Lee, Mrs. W. J. Lee and Baby Tom, Miss Lizzie Todd, Mable Kidd, Powell Lee, Olin Todd, Wilson Bell. 3rd. 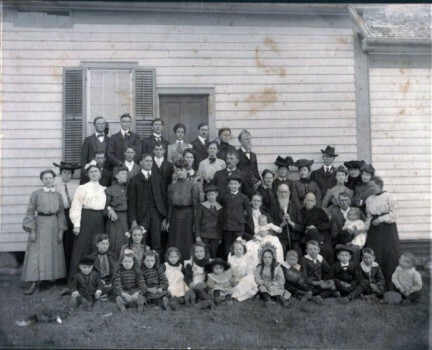 row: Unknown girl, Nannie Todd, 2 Unknown girls, Luke Terrell, Bertha Todd, Edna Huie (Amos Daniel Humphries' step daughter), Mattie Lee (who married Chester Jones). 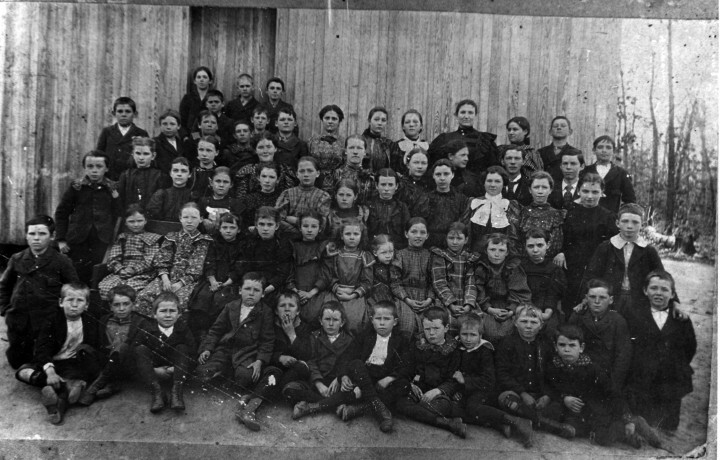 4th row: Unknown boy, Lennie Wayne, Dannie Wesley, 2 Unknown girls, Lily Mitchell, Unknown girl, Exa Huie (another ADH stepdaughter), Annie Terrell. 1st row: 1. Unknown; 2. Bob Harrison; 3. Whit Burke; 4. Unknown; 5. Powell Lee; 6. Unknown; 7. Sidney Wootan; 8. Unknown; 9. Knox Huie; 10. Unknown; 11. ?? Wallace; 12. Jerry Wells. 2nd row: 1. Unknown; 2. Unknown; 3. Mary Jones; 4. Susie Wells; 5. ___ Jones; 6. Lois Ballard; 7. Jesse Hudson; 8. ___Wyatt; 9. Unknown; 10. Lucy Huie; 11. Irene Wallace. 3rd row: 1. Unknown; 2. Joe Wells; 3. Myrtis Smith; 4. Annie Ballard; Nellie Huie; 6. Unknown; 7. 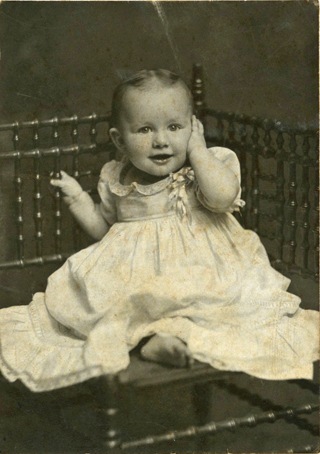 Unknown; 8 Nellie Wootan; 9. Minnie Smith; 10. Tommy Jones; 11. Laura Jones; 12. Nonie Jones. 4th row: 1. Lee Ballard; 2. Jesse Harrison; 3. Unknown; 4. Ruby Huie; 5. ___ Wyatt; 6. Unknown; 7. Emma Jones; 8. 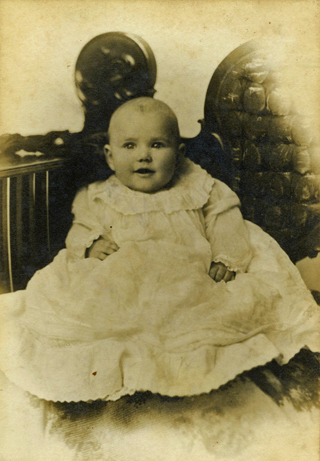 Fannie Dodson; 9. Will Smith; 10. 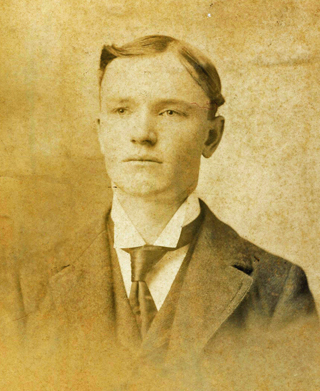 Ernest Smith. 5th row: 1. Unknown; 2. Ed Jones; 3. Benjamin Lee; 4. Unknown; 5. Tarver McNair; 6. Willie Wallace; 7. Miss Addie McNair (teacher); 8. Mattie Lee; 9. Usher Kitchens. Up in the door: 1. Arthur Wallace; 2. Unknown; 3. Kimsey Ballard; 4. Horace Ballard. children on ground: boy, 2 older girls behind twin girls, girl, girl, Annis J. Humphries (in big hat), Nellie Bernice Jones, Ruth Huie, 5 little boys. First standing row: 3 women, Laura Nesbit Jones. 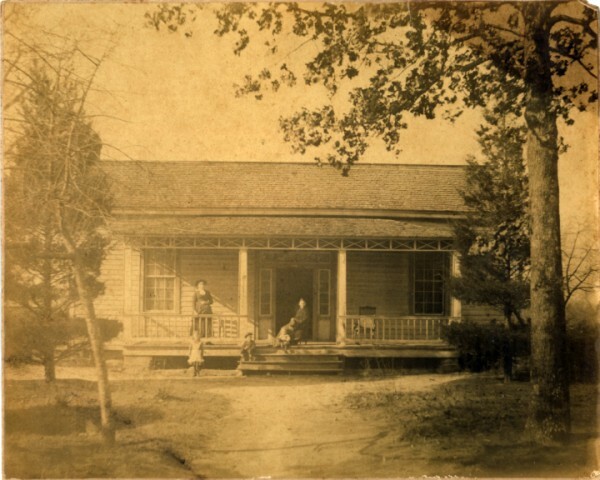 Seated: Man with cane and long white beard is Samuel Lawson McNair with wife, Martha Jane Nesbit, on his left. Over Samuel's right shoulder is Eliza Oregon McNair, to her left, Aunt Nonnie Lasseter, Aunt Nettie Huie, Uncle Walter McNair, Emma Victoris Jones. 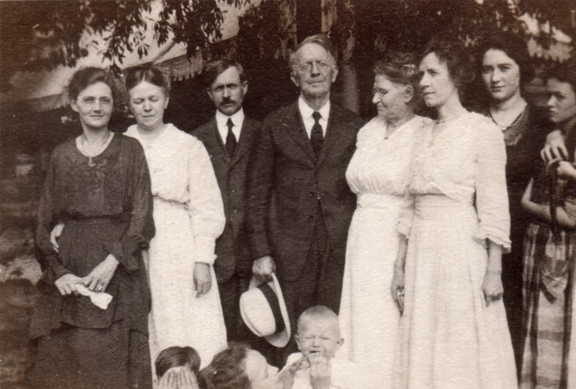 Top Row: Chester Lawson Jones, Unknown, unknown, unknown, John David Humphries, Lillie M. Jones Humphries, John Franklin Jones with thumb in pocket.